← Why did the BBC downplay years of Hamas extrajudicial killings? Consideri,ng those medias are making fools of us I believe PROVOCATION is the best reply to liars. As to bbc the best petitions are those sent with a bomb at leeast the only ones they understand. As to the ratio civilians/terrorists,really who cares? God will sort them out! Those who make a fuss about that are those who care least,they simply want to give Palestine to anyone,martians included except…Jews! 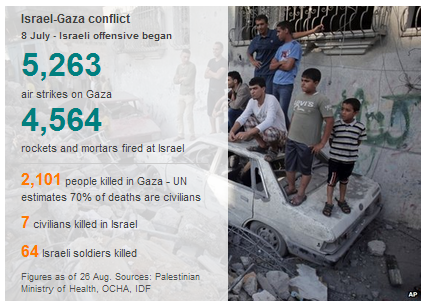 The BBC uses figures provided by the United Nations, not by Hamas. Is Ms Sela embarrassed by the very high number of civilian casualties, many of them women and children? Where do you think the United Nations got their figures?! From Hamas! Check on it! Nearly 500 children were killed in Israeli airstrikes and shelling. Indeed, just like the video mentions, women and children sheltering in a UN school were killed by Israeli airstrikes. Yeah, a school where Hamas was storing rockets and from which they were shooting rockets into Israel! Yeah, real great people! There were not any rockets in the school where people were killed by Israeli shelling. And even if there had been some, it would still have been illegal to shell civilians taking shelter. Children died as a result. Whoever did this video never set foot in Gaza or in a war zone, right? Cause it’s such a caricature, it’s almost funny. However they do get it right when they say that hundreds of women and children were killed in airstrikes. Whoever did this video showed us the reality of journalists who were afraid to show the truth becuase of Hamas . The reality of Hamas hiding behind its civlilian. The caricarutes are michael respones all over the place. This video is hysterical… So funny to see how far right wing people think. Wow… 845 people watched it. Just like “Michael”, the resident sockpuppet. Great video Bio. Have sent a link to some friends. It really captures the moment. An earlier version of this story reported that a man had been cautioned by police and that Mr Galloway was given medical treatment without being taken to hospital. However, this was based on information about an entirely separate attack on Mr Galloway in 2008 by a different man. Whoever the attacker was, it wasn’t a good move. There’s plenty of net stuff available to show how Galloway is a clown.